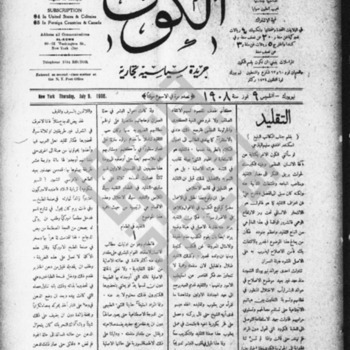 An issue of al-Kown dated April 9, 1908. Dr. Nagib T. Abdou's Arabic-language book about disease and public health. The volume contains sections on specific diseases which were common among densely-packed urban communities, and includes some photographic illustrations.